The original UK edition of Murder On The Home Front is another example of the fine British drama PBS is known for airing and distributing on home video. Set during the London Blitz in 1940, when criminals take advantage of the blackouts caused by the Luftwaffe bombings, murder is afoot. Patrica Kennedy (Boardwalk Empire) is a pathologist new to murder investigations, but determined to to find the predator come what may. She is assisted by her secretary (Tamzin Merchant) as they struggle to find a serial killer in a male dominated world of criminal investigation. Murder On The Home Front is presented in a television broadcast aspect ratio of approximately (1.78:1) in 1080i HD with a clear English Stereo Soundtrack and English Subtitles for the Deaf and Hearing Impaired. Bonus cast and crew interviews are included on the Blu-ray too. 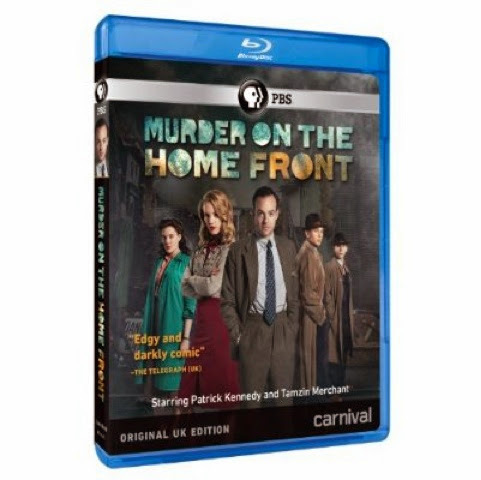 Murder On The Home Front: Original UK Edition will debut on Blu-ray Disc at retailers on and offline on Tuesday, April 15, 2014 courtesy of PBS Distribution.